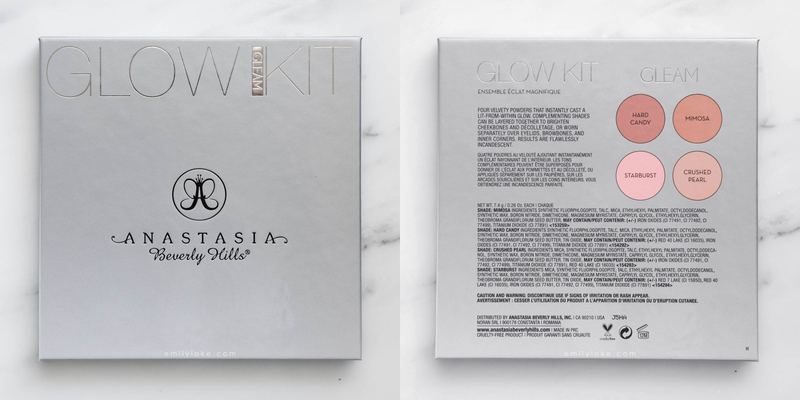 Anastasia Beverly Hills’ Glow Kits have been on my must-try list since they launched late last year, so I’m very excited to have finally gotten my hands on one! Even though the hype has died down a little, these palettes are so popular they’re still regularly selling out at many of the stockists near me. 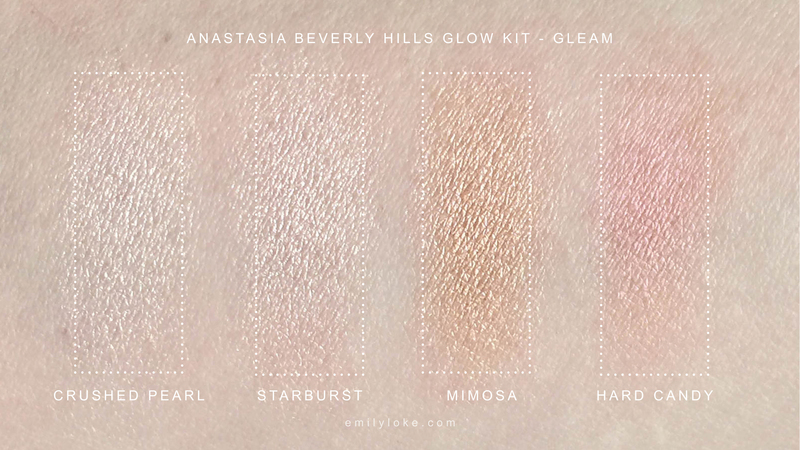 There are currently 2 different palettes available: Gleam which has pink-based shades, and That Glow which has gold and bronze hues. Despite my preference for warm highlighters, I chose Gleam because I found That Glow was overall a little too dark for me. Since I don’t own a lot of pink highlighters, Gleam also stood out to me for being quite different from the stuff I already had. 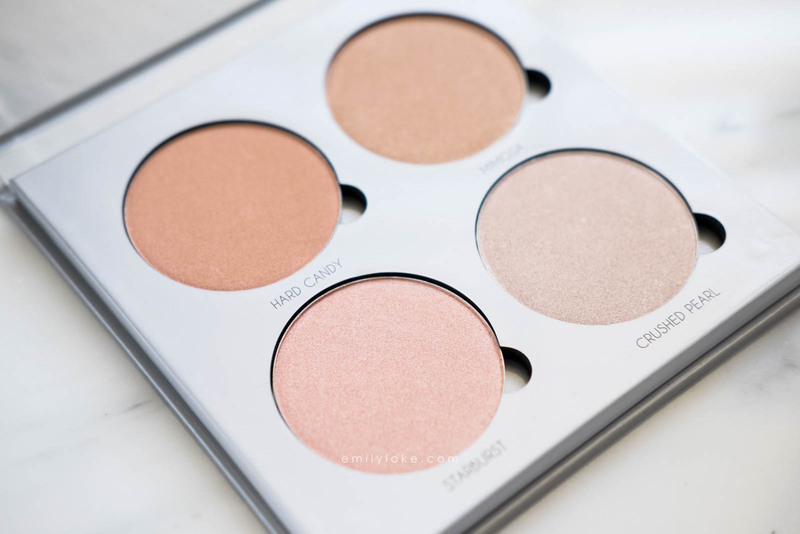 Gleam consists of 4 generously sized pans of highlighter in a cardboard case. For the quality, the value of this kit is exceptional. $40 for 4 highlighters is on par with drugstore pricing, so for a product sold at Ulta or Sephora these kits are a very rare, very good deal. I found the quality overall to be good, though some shades were better than others. Mimosa was the smoothest and most pigmented, whereas Starburst and Crushed Pearl went on a little less evenly. Hard Candy was the most unusual shade, and was smooth but quite sheer…not necessarily a bad thing, given how vibrant the pink iridescence is. 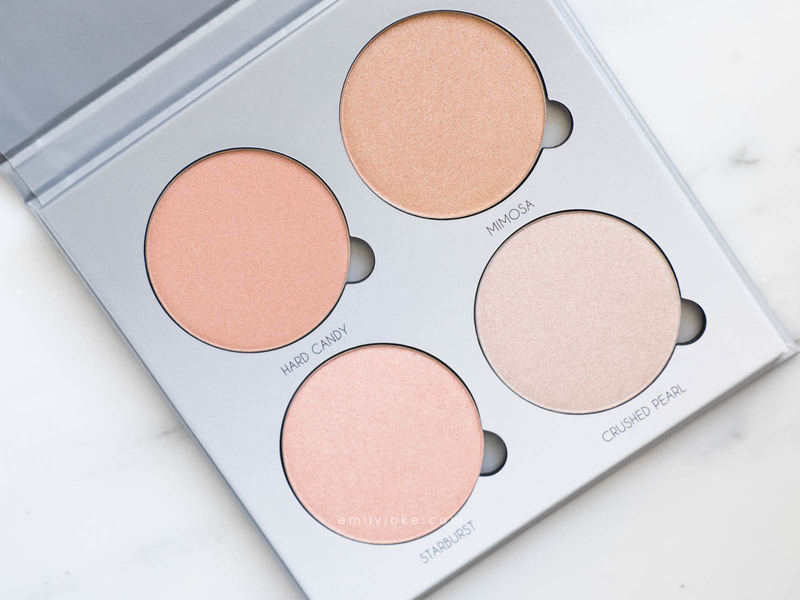 This palette is going to be best for either a professional who works with a range of skin tones, or an individual who is looking for a quick and cost-effective way to build a varied highlighter collection. 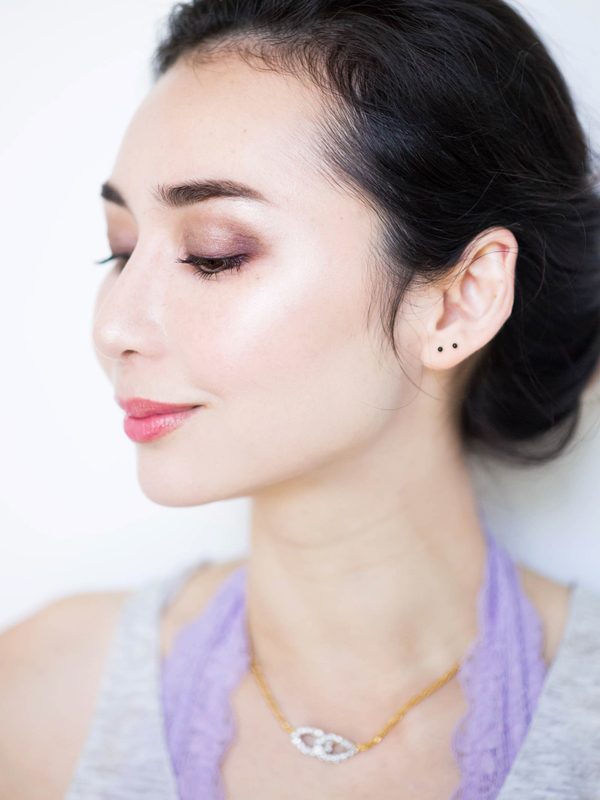 If you already have a ton of highlighters or are very picky about the texture of your powder cosmetics, this might not be the best buy for you. 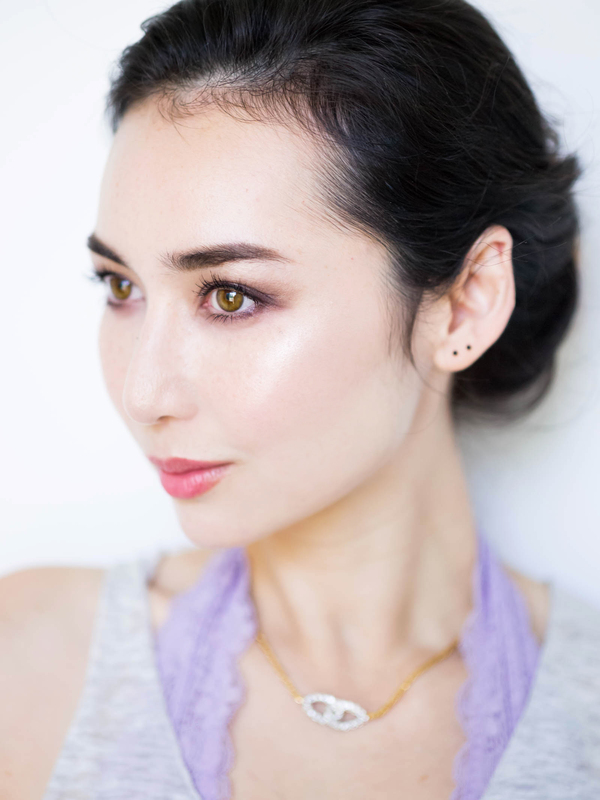 However, as a fairly discerning highlighter hoarder myself, I still enjoy this palette because the darker shades are quite unique to my collection. And though I have similar shades to Starburst and Crushed Pearl, it’s hard to not love them when they build to such a bright shine! I’m wearing a mix of the two here. 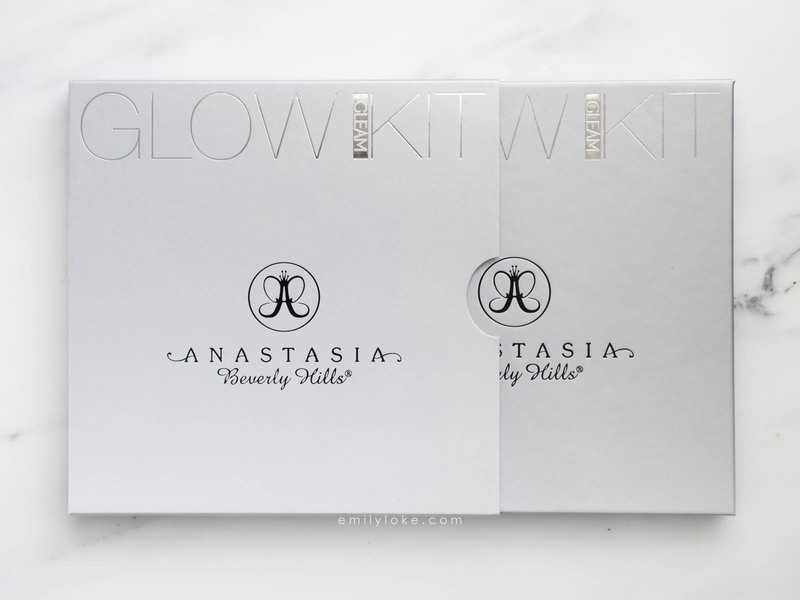 Rumour has it that there’s a third Glow Kit slated to launch later this year. I can’t wait to see what it’ll contain, considering how wide of a shade range the first two cover. My best guess is that it’ll be a set of illuminating bronzers or blushes, but only time will tell!